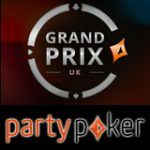 Party Poker Online Grand Prix tournament features a guaranteed $500,000 prize pool on the 5th September, 2016. Players can start qualifying online for their seat to the event through Day 1 tournaments which run daily from 31st July with a buy-in of $109. Satellite tournaments to Day 1 are also running with buy-ins starting from as low as $0.01. Direct buy-ins to the Online Grand Prix tournament will also be available on the day of the event for $700. 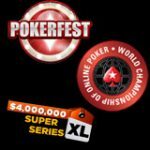 This unique online poker tournament offers players of all bankroll sizes the chance to play for their share of the $500,000 guaranteed prize pool on 5th September, 2016. There are many routes to getting your entry to the final tournament of the Online Grand Prix including satellites and Day 1 tournaments which run daily until the big event. 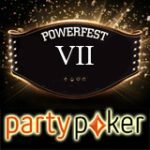 Players may enter as many Day 1 tournaments as they like but can only bring their biggest accumulated chip stack earn from 16 levels of play through to the final tournament. 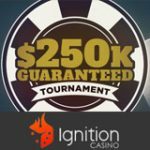 Players that buy-in directly to the event for $700 will receive a starting stack of 200,000 chips. 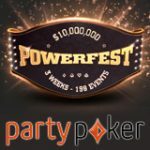 Party Poker plan to include the guaranteed prize pool by $100K each month if the tournament exceeds the guaranteed amount. The event could be offering a million guaranteed prize pool in the upcoming months. 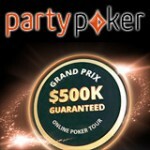 Download PartyPoker - get double your deposit amount up to a maximum of $500 as a first deposit bonus.